At this Special Day we brings Amazing offer for our Valuable Customers. 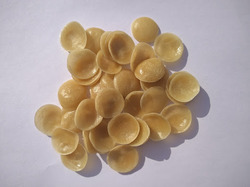 Katori Shape Best Quality Fryums Rs. 26/- per Kg Ex. Factory Ahmedabad. Offer valid up to 26th Feb 2016 or Stock last. Delivery Against DD facility available in selected Cities.